AUTARCON and GNF e.V. will develop a new treatment process for the elimination of micro pollutants from drinking water. Through increased demand and consumption of medication, their residuals are found in aquatic environments and can be detected in most drinking water sources in Europe. In India concentrations found in the environment around drug production facilities have reached levels that would be required for medical treatment itself, with all the negative effects on the biosphere and nearby water abstractors. Within the TOXIDATION Project the partners will extend the by AUTARCON produced inline-electrolysis systems with an additional oxidation step. The hereby produced short living radicals will destroy such residuals without the external addition of chemicals. The station shall be supplied completely by solar PV Energy and is therefore very flexible in operation. Even the utilization in wastewater treatment is intended, to prevent the discharge of drugs into the hydrological cycle. Next to extensive laboratory analysis, field tests will help to transfer the scientific results of the laboratory stage into the development of an adequate product. 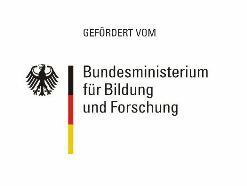 The 2-year project is funded by the “BMBF KMU-Innovativ” program and started in August 2017. The project partners are still looking for additional test sites for the implementation of pilot trials. If you are interested in collaborating please contact either Philipp Otter (otter(at)autarcon.com) or Dr. Frank-Marc Krüger (f.krueger(at)gnf-berlin.de).